After finishing some work on my website recently, I had a chance to reflect on my path into the jewelry business. I thought I’d share my experience with others who are thinking of starting their own businesses. I realized there were some major questions I kept asking myself throughout the process. If I’d spent more time planning answers to these questions, I could have reduced my implementation time significantly. 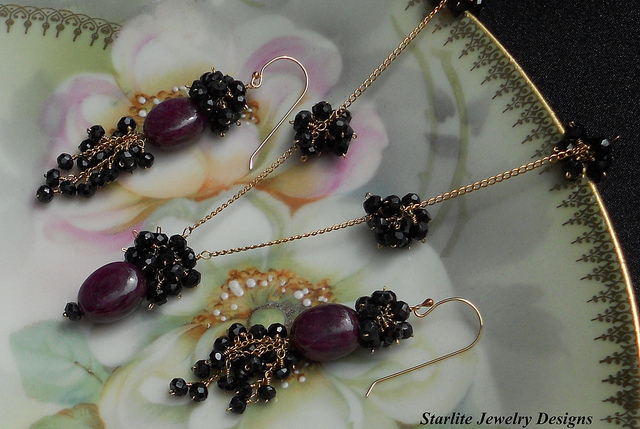 Ruby cabochon necklace and earrings, accented with black spinel. Ruby drop necklace and photo by Naomi King, Starlite Jewelry Designs. Licensed under CC By 2.0. What’s the Right Inventory for my Jewelry Business? Get this one right and you’ll have a great career in logistics in your future. 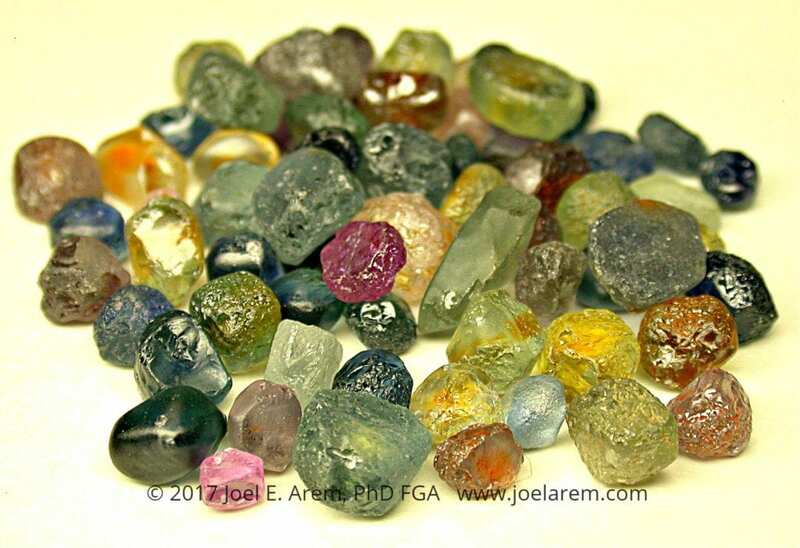 My initial business plan called for my website to have three separate sections: facet rough, jewelry, and gemstones. The facet rough section opened first, and I’m going to focus on that section in this article. (The same issues came up when I opened the jewelry and gemstone categories). Your decisions on what materials to stock, what sizes, and how much of each are critical to the success of your jewelry business. The financial realities of these issues and your budget will force you to choose whether you’re going to serve a specific market, i.e. 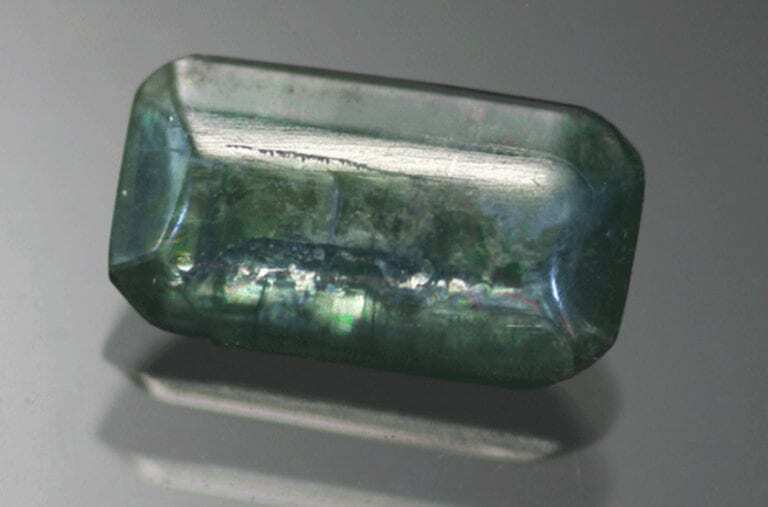 just people who want corundum, or offer a mix of different minerals. Sapphire rough, Rock Creek, Montana. Photo © Joel E. Arem, PhD, FGA. Used with permission. 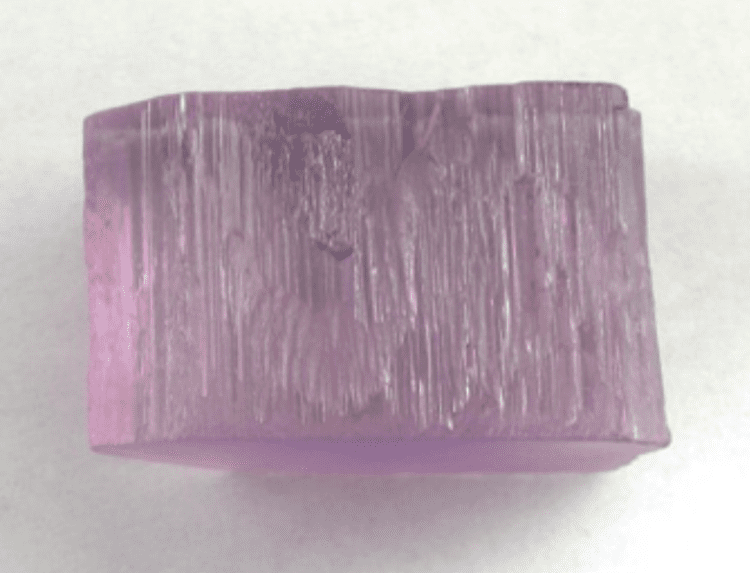 If you’re going to deal with professional gem cutters, then you’re bringing an entirely new element into the inventory question for your jewelry business. They have specific requirements and need exacting details from your evaluations of rough material. After all, their livelihoods depend heavily on your products. 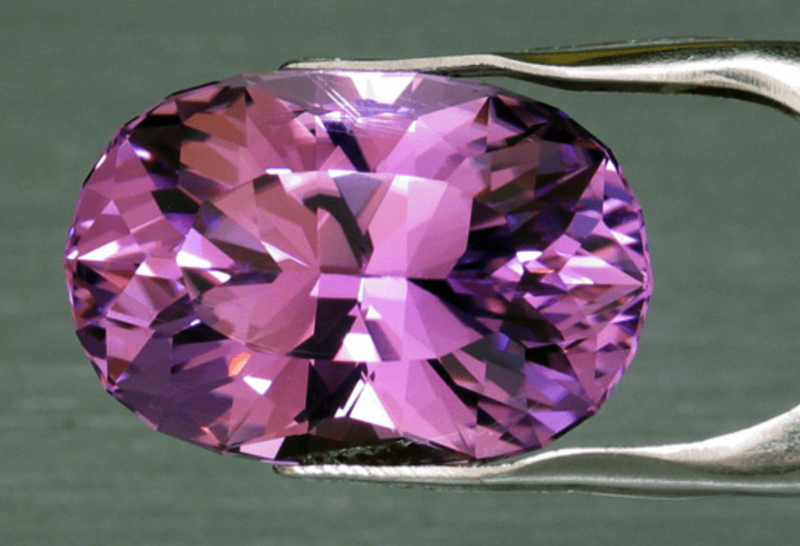 Some professional gem cutters also request finished stones that they can recut. 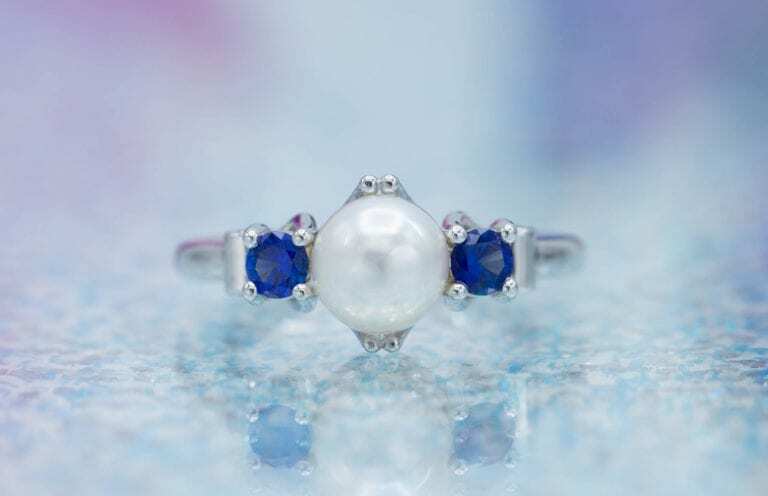 Recutting allows them to predict very accurately the color of the finished gems for their clients who, for example, may have rings with missing stones. 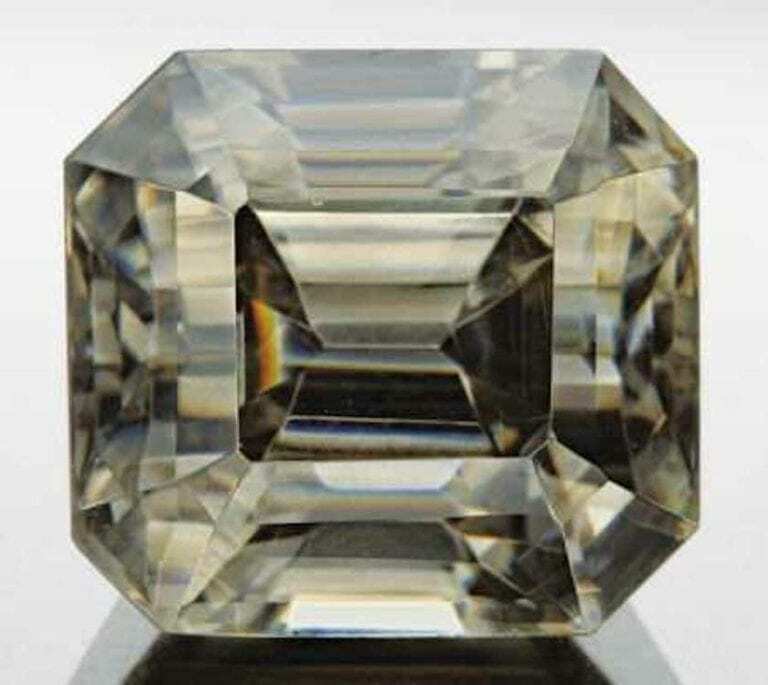 Gem cutters can also avoid many difficulties that can arise when faceting rough. Recutting finished stones greatly improves their ability to meet customer requirements. 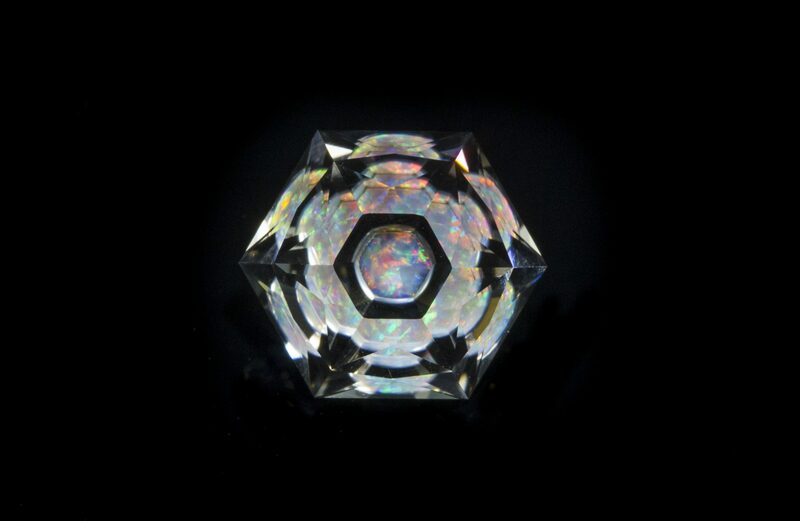 Custom recutting allows faceters to bring new life and beauty to commercially cut or damaged gems. 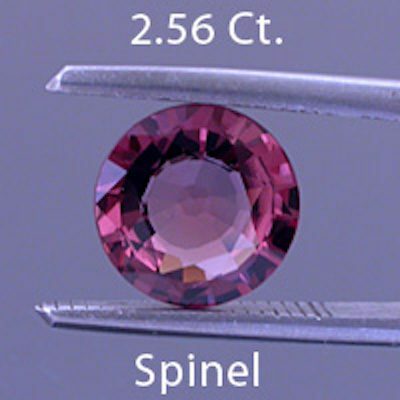 This 2.56-ct mixed cut spinel was recut into 1.30-ct round brilliant. © Dan Stair Custom Gemstones. Used with permission. How Many Suppliers Does my Business Need? 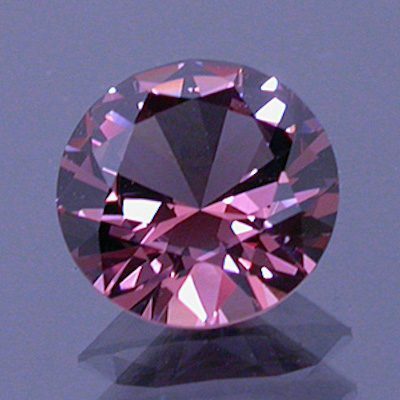 Everyone wants competitive pricing, whether it’s for normal facet rough or finished gems for recutting. This means you’ll need a variety of reliable overseas suppliers. I recommend you secure at least five suppliers for most of your goods. 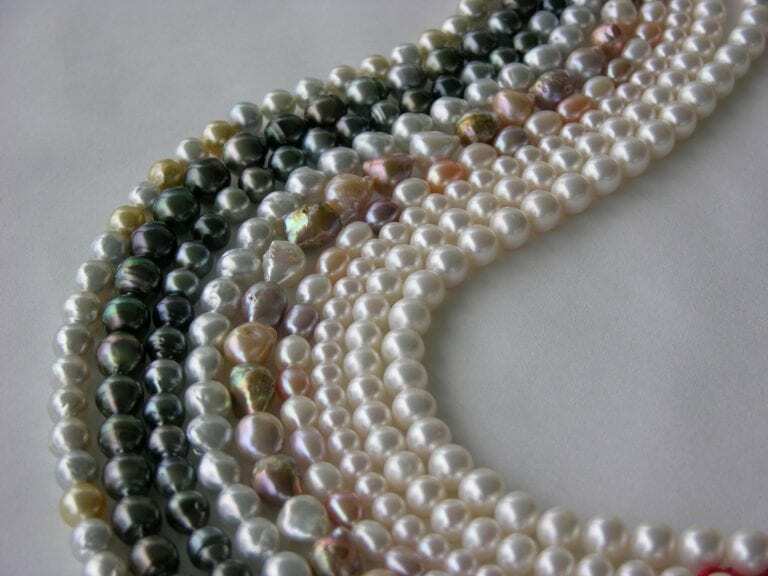 If your jewelry business relies on only one or two suppliers, your entire enterprise may be under their control. If they decide not to carry a certain product anymore or to inflate their prices, you’ll be at their mercy. Most of the time, you’ll only deal with two or three dealers. However, you still need a few to call in times of need. Finding reliable suppliers can be challenging. The best leads I received came mostly from jewelry-related business owners who’d worked with overseas suppliers for years. They gave me recommendations and even made initial contacts on my behalf. Most overseas dealers have to feel confident that you’re going to bring them enough business to make their efforts worthwhile. You need to trust them to accurately describe their goods and send you what they promise. It’s been said that the true cost of sales employees isn’t how much you pay them but how much they cost you in lost sales. The same holds true for suppliers. The true cost isn’t how much you pay for their products but how much money you lose if their products are inferior. If you can’t sell their material, it doesn’t matter how incredible a deal you received. One way to establish good working relationships is to take the time and expense to visit your suppliers and meet them in person. Just don’t expect miscommunications to end after your visit. Two people can meet in person to examine the same piece of rough and still not agree on the color, best orientation, cleavage planes, etc. Imagine trying to do the same thing when someone is on the other side of the world. 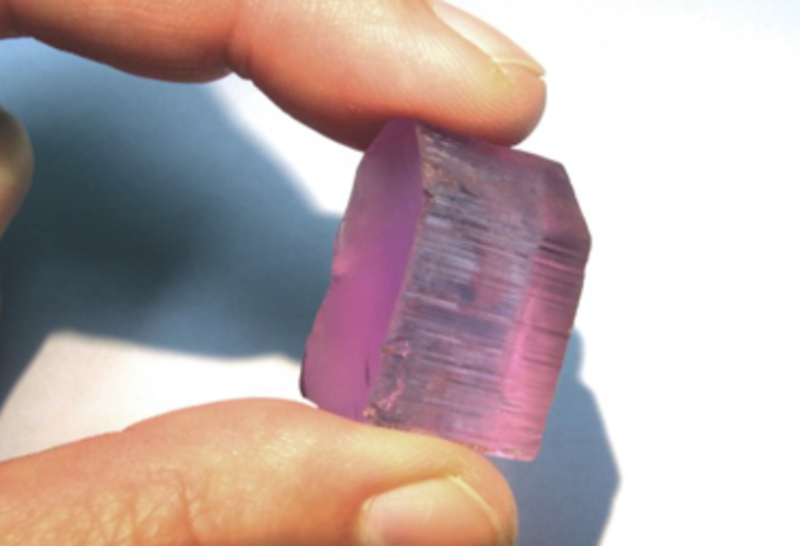 This 205-ct tourmaline from the Cruzeiro Mine in Minas Gerais, Brazil was original purchased for gem cutting but kept instead as a crystal specimen. © All That Glitters. Used with permission. Needless to say, that was the last time I had any contact with him or my money. I would be unfair if I didn’t say that I’ve established fine relationships with many reliable and honest dealers from all over the world. Yes, there still have been very costly misunderstandings, but, for the most part, we’ve enjoyed mutually beneficial working relationships. My advice on this subject is don’t commit large sums of money until you’re confident of the reliability of the supplier and material. It’s up to you to decide what “large sums of money” and “confident of the reliability” really mean for your jewelry business. Do I Pay for Professional Services or Do it Myself? 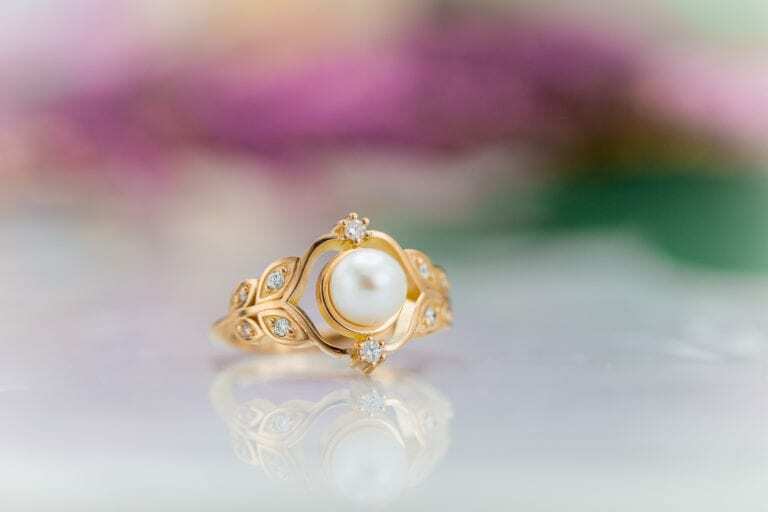 Deciding whether to seek professional help for your jewelry business is essentially a decision about time versus money. If you go the “do-it-yourself” route on website, financial, and legal matters, be aware that you’re not doing what you originally intended to do, i.e. 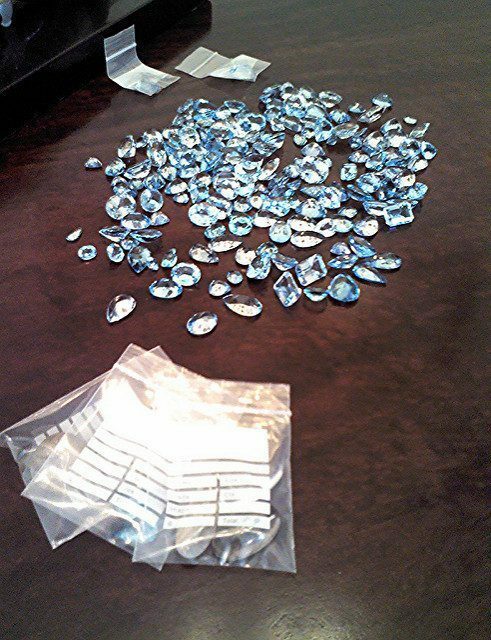 facet gems, make jewelry, etc. If you’re going to pay someone to handle these matters, then make sure you have some deep pockets. A professional product demands a professional price. 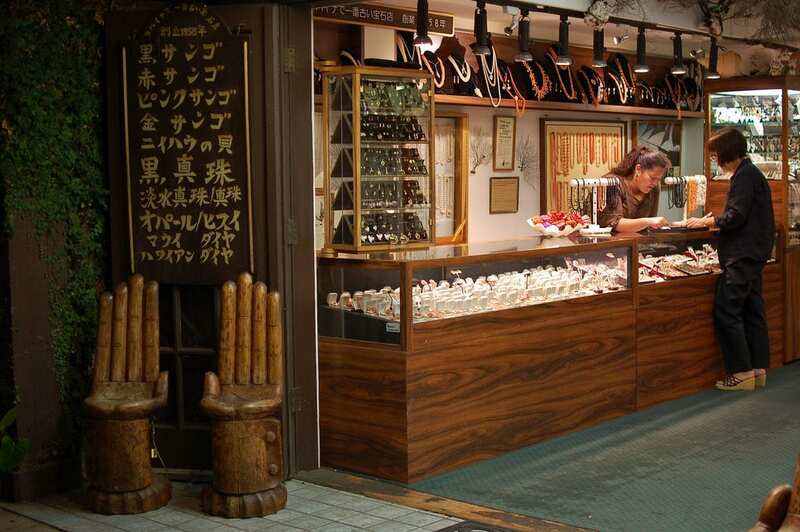 Jewelry store in Lahaina, Hawaii, with Japanese sign. Photo by Eric Chan. Licensed under CC By 2.0. The first decision I had to make in this area involved creating my website. The costs projected in the proposals of several website designers were significant. So, I decided to handle this one on my own. I also liked the idea of being able to instantly correct something myself. With an ever-changing website, constant updates get very expensive. Of course, having a professional develop the site would be the easiest and fastest way to a great looking website. First impressions are important online just like in person. A professional can give you a great deal of “wow” and not sacrifice the other important issues. After much trial and error, I came up with a site that I’m happy with. My main concerns were that it be easy to navigate and pleasant to the eye. If someone wants a piece of sapphire rough that weighs 4.5 cts, I want them to find it easily. The challenge with site navigation is to properly “blueprint” your store before you begin building pages. If you don’t, then you’re asking for confusion. I’m sure he meant no harm, but the thought of an IRS audit being part of my accounting plan made me feel uneasy. “Buying blue topazes,” photo by Mauro Cateb. Licensed under CC By 2.0. I did, finally, find an accountant that helped develop my inventory system. A problem arose when I added e-commerce to my website. My first inventory system wasn’t compatible with the e-commerce package. I was forced to develop a totally new e-commerce friendly inventory system. Having to develop a new inventory system is a good example of how easily unexpected problems can arise, even when you have a solid plan. I still retain an accountant on a consultation and taxation basis. It’s working out great. My search for a lawyer worked in a similar fashion. After a few interviews, I found someone with whom I was comfortable. After a few visits, he developed a list of things I should do to legally protect myself. His main theme: get all agreements in writing. Still, the jewelry business requires a great deal of professional trust. I’m sure my lawyer would be extremely uncomfortable if he knew how my memo system worked! Figuring out the city, county, state, and federal tax systems isn’t fun. (I say “isn’t,” not “wasn’t,” because I still don’t have them figured out). I sought guidance from my local Chamber of Commerce but received very little help. So, I started at the city level and worked up. I went from agency to agency, figuring out where to go next along the way. Each agency is so compartmentalized that if you ask a question you’re likely to get an erroneous answer. My advice is to find a few folks at each level who have a grasp on what you need to do and send them boxes of chocolates. It’s cheaper than posting bond. First and foremost, take the time to create a solid business plan. Be very meticulous and think of every necessary step. The more detailed your plan is at the start, the better off you’ll be during implementation. Next, don’t assume anything. Take the time to make calls and ask questions. Most businesses will answer your questions very honestly and provide you with a great deal of information. If financing is an issue, take the time to interview prospective sources. There will be enough surprises to keep you busy without the additional frenzy of a problem you accidentally created. Dealing with these questions and related issues cost me months of work. Had I planned more or started with better information, I could have saved myself a significant amount of time and money. Finally, being a member of a fine organization like the International Gem Society is a first class start. This kunzite rough came from the Oceanview Mine in San Diego County, California and received a custom cut called “Uniquely K Ultima K Oval.” The finished gem weighs 18.85 cts and measures 20.4 x 13.8 x 10 mm. © All That Glitters. Used with permission.